The Barr family, Ashe County, North Carolina natives, have been growing the famous Fraser Fir tree for over 50 years. Started by Wilson Barr, Barr Evergreens is still a family owned farm located deep in the Appalachian Mountains. Current owners, Rusty and Melissa Barr, have grown up in the Christmas Tree Industry. Rusty started working on the farm when he was 12 and and has grown up following the 12 month cycle of the tree which includes planting, pruning, thinning, and fertilizing. Melissa currently works part-time in the office. The Barr family has built itself on growing and shipping the finest trees available. 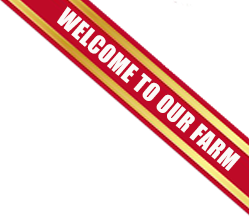 They also strive to provide the very best customer service possible and are very proud of the fact that they have customers who have been buying Christmas Trees, varietals, nursery stock, wreaths, garland, and pumpkins from them for over 25 years. Both Rusty and Melissa are firmly committed to growing their business and helping their customers. 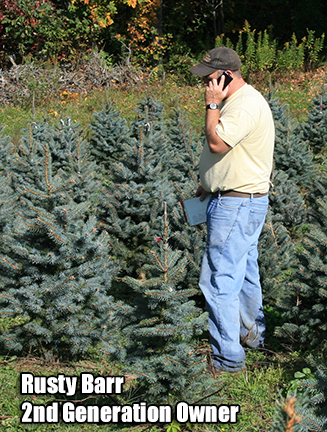 Whether you have are a first-time Christmas Tree Lot Retailer, or an established Garden Center Manager, they would love the opportunity to talk with you, give you a tour of their farm, and show you what makes their trees so special.